Our first “Make It Work” forums took place in Sydney a few weeks ago. 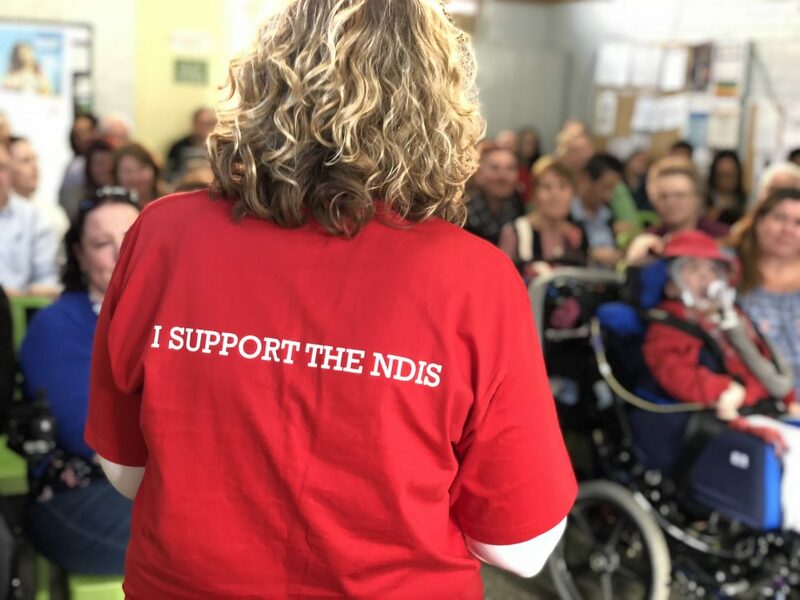 Two packed rooms of people with disability, families, carers and people who work in the sector all came together to share their experiences of the NDIS and their ideas for how to make it better. It was great to see that there was overwhelming support for the NDIS at both forums. But it was also clear that there is still a way to go before the scheme works the way we all want it to. At each forum we were joined by an amazing panel, who talked about their experiences, shared their insights, and answered our questions – and there were a lot of them! At both forums we spent lots of time talking about what some of the problems were – and what should be done to fix them. We tried to stick to our top five priorities but at each forum people came up with so many good ideas we had to include them all! Lots of people agreed there was a big power imbalance between the NDIA and participants and their families. This left people feeling everything from frustrated and angry to stressed and anxious. People said they felt like many NDIS processes had been designed to suit bureaucrats and the scheme, rather than to suit people with disability and their families. The call centre was one example – not being able to make a fixed time for a call back, always speaking to someone different, not being able to get the name and number of someone who could help fix the problem, were all common complaints. People want to make sure that participants are the priority – not the needs of the system. We all agreed that the planners and LACs needed better training. Good intentions are no substitute for the experience and knowledge necessary to work effectively and respectfully with participants and their families. Many of us had trouble with the language used by the NDIS because things are rarely expressed in a simple or clear way. People also had trouble with inconsistency – different terms could be used for the same thing, which made trying to understand everything even more difficult. People said NDIS concepts, terms and processes need to be consistent and explained in plain language in a way that everyone can understand. Everyone agreed that reviews were stressful – and often unnecessary. Lots of people suggested introducing much longer plans to give people certainty about their future. Everyone agreed that gaps between one plan ending and the next one starting were a big problem. People at both forums said plans should just roll over so no one is ever left without support. Many were also worried about people falling through the gaps – particularly those who were not eligible for the NDIS. People said they wanted to make sure help was still there for those who need it. There were lots of individual ideas as well: people in Seven Hills for were really concerned about transport, while some people in Austral were worried about support for people whose disability was less visible than others. We made sure we captured all those ideas in our summary back to MPs. We want to say a big thank you to everyone who came along to the forums. It was fantastic to hear everyone’s great ideas and see how committed people are to getting the scheme back on track. And while it’s clear there is still a lot of work to be done, most of us were still positive about the NDIS. In the words of one participant Janet “the spirit of the NDIS is the best thing ever for people with disability”. Now we just need to work together to keep the pressure on our politicians to turn that spirit into reality.